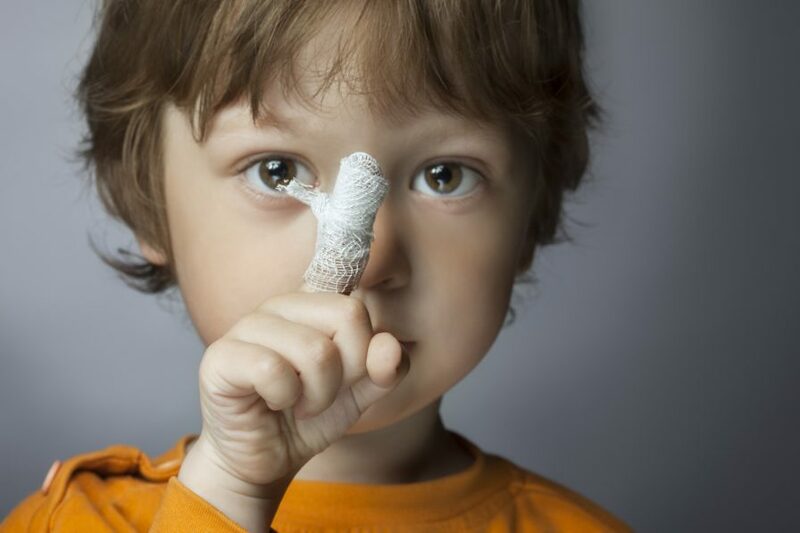 A child getting their fingers caught in a garage door is the most common injury type, and it is more than just painful; it can be extremely dangerous too, and cause an injury that results in the loss (of use) of the affected extremity. In addition to getting fingers caught in the garage door, a child may also get a limb or other body part smashed under a garage door. This is common when children try to run under the garage door before it closes – sometimes, they don’t make it. Garage Door Child Safety reports that the most common causes of garage door injuries for children include pinch/crunch section joints; falling doors; DIY projects; sharp edges; glass; and spring injuries. One way to prevent the injuries above from occurring is to be sure that your garage door is properly maintained. Specifically, make sure that the automatic reversal system is working properly. If this system senses that something is in its way, such as a hand or other body part, it will automatically stop descending and reverse, preventing a catastrophic injury from occurring. The other important thing that you need to do is to talk to your child about garage door safety. While it might be tough to do – after all, no one wants to sound like the bad guy – it is important that you set guidelines regarding playing in the garage and around the garage door. Children should never be given access to garage door remotes, and should not play in a garage without supervision. Remind children – and model the behavior yourself – to never duck under a garage door when it is closing. If it has been awhile since you had your garage door serviced, what are you waiting for? Whether you have young children at home or not, ensuring that your garage door is in tiptop condition can help to keep everyone safe. For a free quote where you can learn more about garage door repair, maintenance, and more, call the professional team at Affordable Garage Door, Inc. today. You can reach us now at 219-696-4279.